PACK LESS, TRAVEL MORE - The Talus All-Terrain Low is a versatile hiker loaded with features for on-the-move comfort wherever your travels take you. The shoe’s leather upper provides durability in a low-cut, lighter weight silhouette than its mid-height Talus AT counterpart. Abrasion-resistant mesh panels add flexibility and breathability for miles of modern comfort and durability. The upper is available with a Vasque UltraDryTM membrane for a full waterproof seal to keep feet dry year-round. A Vibram® Mega Nuasi outsole ensures solid footing across varying terrain with aggressive traction and toe protection. LEATHER LEGACY, MODERN PERFORMANCE - The Talus All-Terrain is an all-season performer. Built for comfortable miles straight out of the box, the mid- cut boot provides leather durability without the break-in, thanks to responsive cushioning in the midsole Abrasion-resistant mesh panels create a breathable, flexible fit for long distance comfort. The Talus AT’s nubuck leather exterior is reinforced with a Vasque UltraDryTM membrane for a full waterproof seal to keep feet dry. The Talus AT is anchored with a Vibram® Mega Nuasi outsole that ensures solid footing across varying terrain with aggressive traction and toe protection, so that you can hike with confidence. LIGHTER, FASTER, MORE VERSATILE - The Breeze Lite Low arrives as a lightweight, non-GORE-TEX addition to the beloved Breeze line. A lighter successor to the Breeze III Low, the LT Low features Vibram® Megagrip for sure footing across varying surfaces. Supplementing best-in-class traction, the LT also features cutting edge Vibram® Lightbase technology, saving 25% in outsole weight. A synthetic microfiber upper provides all-day breathability, while delivering improved fit for more comfortable trail miles. ALL-SEASON ADVENTURE PARTNER - The Velocity All-Terrain GTX is a trail shoe that’s built for fast & light, all-season versatility. The lightweight trail shoe flies over rough terrain with technical features that keep feet comfortable without adding unnecessary weight. The Velocity AT GTX’s engineered mesh upper molds to fit feet, and GORE-TEX Invisible Fit adds a waterproof barrier that doesn’t affect feel or flexibility. A Vasque Traction Plus outsole anchors the shoe with dynamic multidirectional traction, with an ESS rock plate for foot protection across technical terrain. KEEP THE WARMTH, CUT THE WEIGHT - The Coldspark UltraDryTM is an insulated boot for hikers who don’t slow down when the temperature drops. The performance-driven boot delivers warmth, waterproofing, and winterized traction, without the bulk of traditional cold weather footwear. The Coldspark UltraDryTM uses a Retain reflective barrier to lock warmth into the boot, cutting out the weight of traditional insulation. An UltraDryTM waterproof membrane keeps feet dry through slush and snow, while the outsole’s high-friction ColdHold rubber compound confidently grips in freezing temps. Lace-up and get after it all winter long. WINTER FORM + FUNCTION - The Laplander UltraDryTM is a women’s winter go-to that combines form and function into a boot that keeps feet warm and dry on trail or in town. When temperatures drop, the Laplander provides peace of mind with 400g of 3MTM ThinsulateTM insulation to keep warmth in and an UltraDryTM waterproof membrane to lock moisture out. The boot is built on a solid foundation with ColdHold rubber in the outsole for trustworthy traction across slick surfaces. The boot’s sleek upper blends leather, suede, and knit mesh for a modern outdoor look that stands up to the elements. AORE will be raffling tickets for Osprey packs, swag and other prizes. Osprey will be selling Transporter Roll Top and Flap Packs for $50 each. All proceeds will benefit the Association of Outdoor Recreation and Education. Osprey will also be selling 85for85 books with all proceeds benefitting the Bears Ears Educational Center. 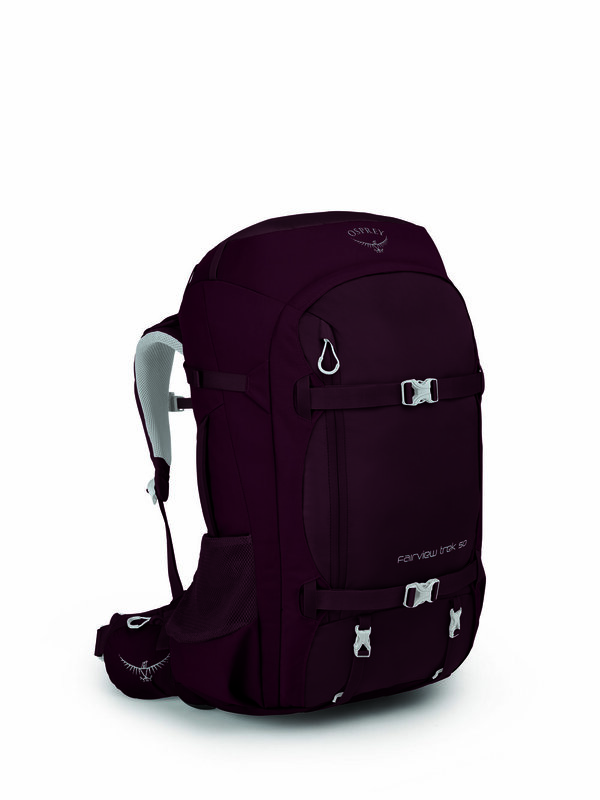 Osprey’s Farpoint Trek 55 (men’s) and Fairview Trek 50 (women’s) packs are purpose-built for adventure travel that involves extended time on the trail. This one pack takes you from airport to hostel to trail without missing a beat. 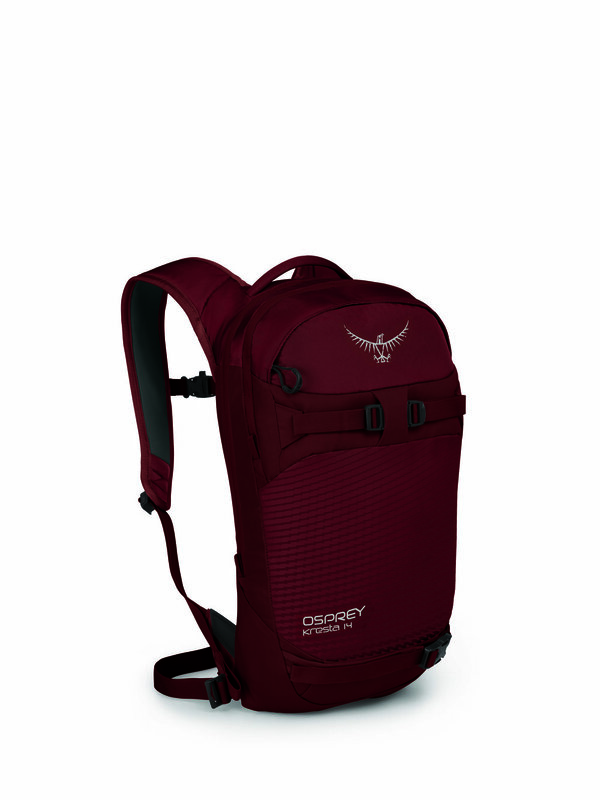 Osprey’s new Transporter Carry-On Bag featuring durable TPU double-coated nylon is built to withstand the rigors of travel and inclement weather. The 44L Transporter Carry-On Bag, opens flat for easy packing with a combination of fabric and mesh dividers and pockets to hold clothes flat and reduce wrinkles. With the new Kamber 16 (men’s) and Kresta 14 (women’s) Osprey delivers a great fitting and featured pack with a low profile designed for lift-serviced days or quick backcountry lines. prAna’s Fall 2019 is all about style, versatility and sustainability. prAna was the first North American apparel brand to offer clothing made from Fair Trade CertifiedTM factories and the fall season includes 74 styles made in those factories. Not to be missed the brand’s new Merrigan stretch corduroy collection for women including the patch pocket pants made from organic cotton and a touch of Lycra for stretch. For men, we love the PYX Hoodie in maple featuring a DWR finish and 650 PP RDS certified down. We have collaborated with Colorado based artist John Fellows on curated sock designs and graphic t-shirts for fall 2019. To pre-launch the collaboration within the Outdoor industry, we will be selling 80 pairs (until supplies last, about 40 men/women) of two of the sock designs, and the corresponding screen prints of the artwork. John will be on-hand to meet and greet during the happy hour. The Sock + Print combo will sell for $20; Prints alone will be $10. All proceeds will be donated to The Conservation Alliance. Smartwool is upping their midlayer game this year. Smartloft X is the catalyst for cold-weather adventures that center around a need for high-performing insulation. Perfect for high-intensity activities, Smartloft X combines breathable insulation, comfortable Merino wool, stretch fabric, and a highly wind- and water-resistant outer shell to create a jacket worthy of the worst weather (or best weather, depending on your point of view). Blended Merino Sport yarn combines the power of Merino with the durability and fast dry times of polyester. Engineered construction uses knit structure to enhances performance with lighter garment weight and a cleaner finish. Mesh ventilation seamlessly knit in gender-specific zones designed to help keep the body dry and comfortable, and 3D mapping results in near custom fit and freedom of movement, while ribbed areas provide added durability. 100% Merino yarn provides the full power of Merino with unparalleled moisture management, insulation, thermos regulation and oder-control. Engineered construction uses knit structures to enhance performance with a sophisticated finish and insulated terry loops are seamlessly paired with mech ventilation in gender-specific zones designed to balance warmth and breathability. 3D mapping results in near custom fit and freedom of movement, while rubbed areas provide durability. Premium waterproof leathers, rugged craftsmanship, dual density footbed, and Peak-to-Pavement™ traction elevate the Wilson from a classic heritage design to durable all-terrain adventurer. Rugged meets elegant. The Lucie Mid features waterproof/breathable performance and premium suede/nubuck leathers for a versatile mountain-town vibe. Lightweight design meets waterproof/breathable construction in the women’s Tract. A blend of suede, nubuck leather, and micro mesh atop a Peak-to-Pavement™ outsole makes the Tract nimble and versatile. As a kick-off to Outdoor Retailer this time around, the Outdoor Industry Association is hosting a breakfast the morning of November 8th inside the Convention Center centered around the idea of “Retail Isn’t Dead: Optimism in the Age of E-Commerce.” A look into the current landscape will be guided by keynote speaker Leslie Ghize of The TOBE Report, a think-tank looking to give insight and develop creative strategies for the retail world. The Outdoor Retailer Innovation Awards recognize innovation and achievement in product and retail within the outdoor industry. Wanda Weller, founder of JAM client Alterra Pure and previous design director at Patagonia and adidas North America, will be one of the judges of the annual awards. As a proud member of The Conservation Alliance, we will also be supporting them by attending their breakfast on Friday, November 9th at The Hyatt Regency. We’re looking forward to seeing photographer Aaron Huey share his photos and speak on “Bears Ears and the Battle for the American West.” It’s open to the public so we hope to see you there!